Adriana Agcaoili, Dolly De Leon, Candy Pangilinan, Frances Makil-Ignacio, Stella Canete-Mendoza, TP De Luna, Katte Sabate, Ronnie Martinez, Flordeliz Salanga, Monette Flores, Carlo Cannu, Ron eines, Mark Dalacat, Neil Ryan Sese, Missy Maramara, Ian Ignacio, Arvin Trinidad, Brian Arda, Sue Prado, Liway Gabo, Chase Salazar, Jacques Borlaza, and Leo Rialp. 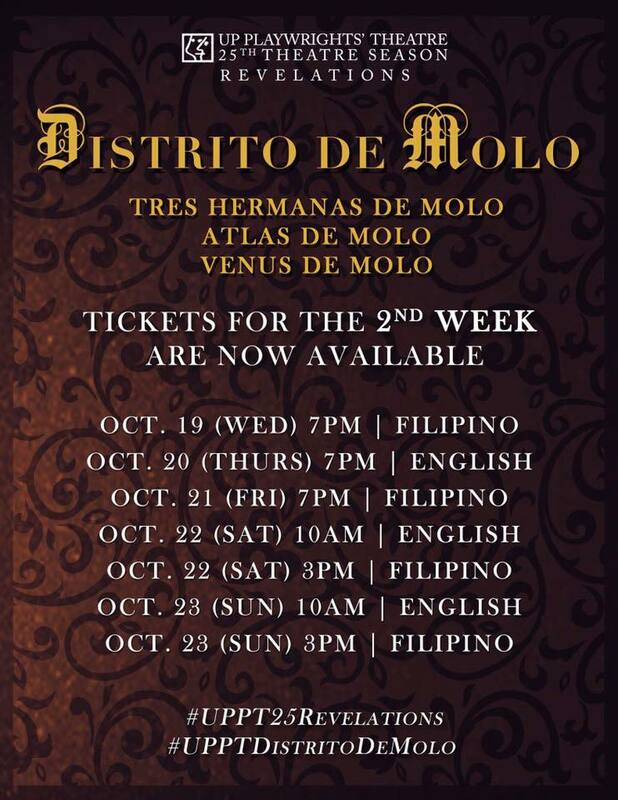 The first play, Tres Hermanas de Mob, is set in the 50's and revolves around the post-war lives of the wealthy Locsin sisters. All three are unmarried, and are each carrying a dark secret from their past. The second play, Atlas de Mob, set in contemporary time, is about Eric and Lorena Avancena. The newlyweds return to their ancestral home. 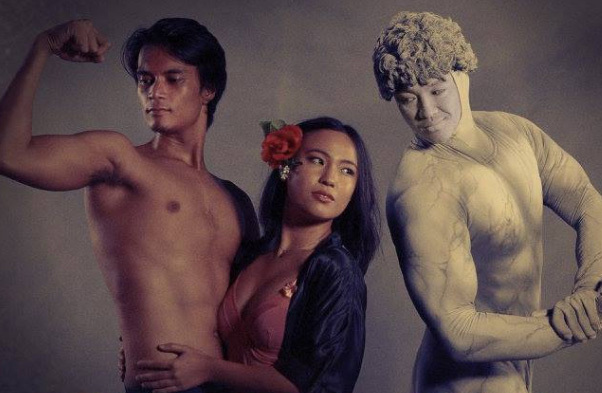 Atlas, the statue in their garden, comes to life and changes their lives forever. 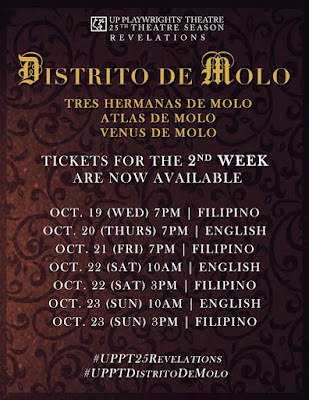 The last play, Venus de Mob, set in the 30's, revolves around Don Guillermo Arroyo and his obsession with the statue of "Venus de Milo." He employs the local sculptor, Crispino Maranon, to reproduce the statue but without compensation. Things turn around when Laonsena, a goddess, visits Maranon and reveals a shocking secret of Don Guillermo.